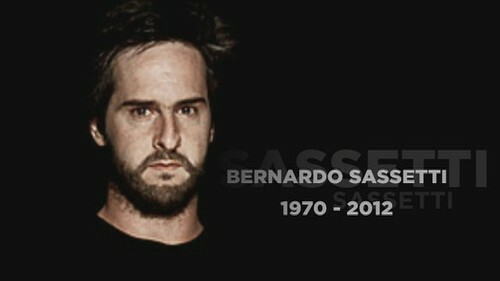 It has been a week since Bernardo Sassetti passed away! I was saddened to hear about the death of a great pianist and am writing this as a kind of tribute. I hope it does him justice. Sassetti had many interests and drew from many influences. He was by no means one dimensional. Though he was as a jazz musician he was not limited to “just jazz”. Throughout his career he worked with musicians of all types: jazz, fado, pop and hip-hop. Sassetti was, at his peak, largely unconcerned with labels, less concerned with whether his music would be accepted as jazz, sound track or classical. He was more concerned about the whole effect of his music. This refusal to be easily categorized is part of the reason why Sassetti has been praised as one of the most creative composers of his generation. It is also one reason why I find his work so interesting. The other reason is its sheer variety. Sassetti also had a keen interest in film and photography, areas that mirror my own interests. Sassetti came to music early on with “music in his blood”, he was grand-nephew of composers Luis de Freitas Branco and Pedro de Freitas Branco. His training in classical piano began at age 9. At 18 he began his journey into the world of jazz, studying with musicians such as Zé Eduardo, Horace Parlan and Sir Roland Hanna; and playing with the Carlos Martins Quartet and Moreiras Jazztet. Clean Feed Records, which distributes his work, points out the additional influences of Bill Evans and Keith Jarrett. The quality of Sassetti´s work can be seen, in part, by the recognition and awards he received. In 2001, together with his trio, he represented Portugal in the 1st European Jazz Festival in Athens. His 2006 album Unreal: Sidewalk Cartoon received a four-star rating (of a possible four) in The Penguin Guide to Jazz (9th ed. ), and was selected for The Penguin Jazz Guide: The History of the Music in the 1000 Best Albums. Throughout his music he emphasized the importance of silence, calling himself a “musician of silence”. We can see this preoccupation in his work “Ascent”, about which he said “For the first time in my career, this is a work that is seen as a whole. Ascent combines all three of his areas of interest: music, film and photography. In Ascent he sought to combine “visual art” with “audible art” and to combine “improvised music” with “classical music”, producing a work which heralded his maturity as a composer. In Ascent the musicians are characters. Each of the compositions has a narrative strand which develops progressively, beginning and ending in silence, producing what he called “music of silence”. Furthermore Ascent was composed as homage to cinema. Sassetti was inspired by the modern techniques of film making, laying out the music in a similar fashion. Sassetti´s work in film was also quite extensive. He composed the musical score for 15 movies: Aniversário; Facas e Anjos; As Terças da Bailarina Gorda (short); O Segredo; Maria do Mar; Lent; Maria e as Outras; The Miracle According to Salomé; The Murmuring Coast; Alice; 98 Octanas; Antes de Amanhã (short), Second Life; As Ilhas Desconhecidas; How to Draw a Perfect Circle. He can also be seen acting in The Talented Mr. Ripley (1999), sitting at the piano as part of the Napoli Jazz Sextet. If you are familiar with Sassetti ´s work, or if you want an introduction you will find much that is worth taking a look at and listening to on YouTube. First pay a visit to Sassetti´s Official Channel, where you will find various recordings of his work. You can also visit the Clean Feed Channel, where you will find a recording of Sassetti at the Teatro Academico Gil Vicente in Coimbra, made in 2004. A final clip worth looking at is the sound track of “Uma coisa de forma assim”, co-created by Clara Andermatt, Francisco Camacho, Benvindo Fonseca, Rui Lopes Graça, Rui Horta, Paulo Ribeiro, Olga Roriz, Madalena Victorino and Vasco Wellenkamp. It has been said that “The key to immortality is first living a life worth remembering.” There was much in his life and work worth remembering. What do Heidi Klum, Gisele Bündchen, Linda Evangelista, Cindy Crawford and Stephanie Seymour have in common? They are all top models that began their careers through Elite Model Look, the world’s most prestigious international modelling contest. Elite Model Look (EML) is a contest that offers young girls of all nationalities, from all over the world, the opportunity to become top fashion models. EML sets up national competitions in over 60 countries, in which over 350,000 candidates participate. This year´s EML Angola was once again held in Luanda and was I the presenter. Let me tell you a little about it and, why this contest continues to inspire me. Elite Model Look Angola was first held in 2010. In this first event castings were held in the provinces of Benguela, Cabinda, Cunene and Luanda. The winner of EML Angola 2010 was Roberta Narciso, who went on to represent Angola at the 27th edition of Elite Model Look Internacional in Shangai. After this initial exposure her career really took off. In 2011 she walked for Valentino SpA, the Valentino Fashion Group. In the same year she worked with Prada, becoming the 4th African model to work for the Italian brand. She was also named one of the Top 10 new faces in fashion by New York Magazine. In Milan and Paris she walked creations by Jil Sander, Elie Saab, Dries Van Noten and Louis Vuitton. A very busy year for her indeed! In 2012 the pace continued. It was off to New York and continued work with top brands such as Marc Jacobs, Ana Sui, Thakon, Bottega Veneta, Óscar de La Renta and Carolina Herrera. Returning to Paris, she walked for Miu Miu and, again for Louis Viutton, in the display of their Autumn / Winter Collections. She also appeared in Italian Vogue editorial, wearing Valentino creations. Furthermore she participated in the Arise Magazine Fashion Week in Nigéria. She was chosen again as the subject of an editorial. Similarly the second EML Angola winner, Elsa Baldaia, participated in the 28th edition of Elite Model Look Internacional in Shangai. She went on to walk for Vivianne Westwood and the Etam clothing label. Participation in an editorial for Elle Magazine (France) soon followed, as well as participation in the Arise Magazine Fashion Week. Other names that benefitted from participating in Elite Model Look, by being introduced to the fashion world, include Maria Borges, Mauza António , Maura Sebastião, Kalumueziko Pedro, Cecilia Sapalo and Adélia Cachimano. Being the presenter at such a prestigious event as EML is always a great challenge. It is also always an opportunity that I welcome and enjoy. As a presenter each show that I do has its own challenges and flavour. Presenting such a prestigious Gala means that there is little room for error. Presenting in front a live audience requires much more attention to the reactions of the audience. Audience reaction is immediate and naturally my responses must also be. Furthermore, since I had no teleprompter to rely on for this event, I had to constantly anticipate the reactions of the audience. These conditions made for a very interesting evening´s work! I welcome the fact that I could be there when the winner of this year´s EML Angola was announced. I hope that Verónica Bartolomeu, this year’s winner has the same success and projection that her predecessors had. I have no doubt that she will, since Paulo Macedo, director of the fashion magazine Vogue Portugal, Paul Farnham, photographer for Arise Magazine (a magazine covering fashion trends, culture, lifestyles and African success stories), were at the event. I will be following her progress and those of the participants at the upcoming EML Mozambique and EML Cape Verde, scheduled for later this year. Check back here for the news! O que têm Heidi Klum, Gisele Bündchen, Linda Evangelista, Cindy Crawford e Stephanie Seymour em comum? São todas top models que iniciaram as suas carreiras através da Elite Model Look, a mais prestigiada competição internacional para modelos. Elite Model Look (EML) é uma competição que oferece a raparigas jovens, de todas as nacionalidades, em vários países, a oportunidade de se tornarem top models no mundo da moda. EML organiza competições nacionais em mais de 60 países, nas quais participam mais do que 350,000 concorrentes. Este ano a EML Angola foi novamente realizada em Luanda e eu foi a apresentadora. Permita-me partilhar um pouco sobre o concurso e porque me continua a inspirar. A primeira edição da Elite Model Look Angola foi realizada em 2010. Neste evento castings foram realizados nas províncias de Benguela, Cabinda, Cunene e Luanda. A vencedora da EML Angola 2010 foi Roberta Narciso, que representou Angola na 27ª edição da Elite Model Look Internacional in Xangai. Depois deste evento a sua carreira floresceu. Em 2011 desfilou para Valentino SpA, o Grupo de Moda Valentino. No mesmo ano trabalhou com Prada, tornando-se a 4ª modelo Africana a trabalhar para esta marca Italiana. Ela também foi nomeada umas das Dez Melhores caras novas da moda pela New York Magazine. Em Milao e Paris ela desfilou criações de Jil Sander, Elie Saab, Dries Van Noten e Louis Vuitton. Um ano bastante concorrido de facto! Em 2012 o ritmo continuou. Foi até Nova Iorque e continuou o seu trabalho com marcas famosas tais como Marc Jacobs, Ana Sui, Thakon, Bottega Veneta, Óscar de La Renta e Carolina Herrera. Regressando a Paris, desfilhou para Mil Miu e, de novo, para Louis Viutton, na apresentação das Coleções Outono / Inverno. Ela também apareceu numa editorial da revista Vogue (Italiana), com criações de Valentino. Participou também na Semana da Moda de revista Arise Magazine, na Nigéria. Foi escolhida de novo como assunto dum artigo editorial. De igual modo a segunda vencedora de EML Angola, Elsa Baldaia, participou na 28ª edição da Elite Model Look Internacional em Xangai. De seguida desfilhou para Vivianne Westwood e a marca de roupa Etam. Participou também num artigo editorial para a revista Elle (França) e participou também na Semana da Moda de revista Arise Magazine. Outros nomes que beneficiaram da sua participação no concurso Elite Model Look, sendo desta forma introduzidos ao mundo da moda incluem Maria Borges, Mauza António , Maura Sebastião, Kalumueziko Pedro, Cecilia Sapalo e Adélia Cachimano. Ser apresentadora num evento tao prestigioso como a EML é sempre um grande desafio. É também sempre uma oportunidade que acolho e desfruto. Como apresentadora todos os eventos em que participo têm os seus próprios desafios e características. Apresentando uma Gala tao prestigiosa deixa pouco espaço para o erro. Apresentar diante de um público requer muita atenção às suas reações. As reações do público são imediatas. Naturalmente as minhas reações também têm de ser. Alem disso, como não tinha acesso a teleponto neste evento, tinha de estar sempre pronta a antecipar as reações do púbico. Tais condições garantiram uma noite de trabalho bastante interessante! Eu agradeço o facto de ter estado presente quando a vencedora da EML Angola 2012 foi anunciada. Tenho esperança que Verónica Bartolomeu, a vencedora tenha o mesmo sucesso e projeção do que as vencedoras de anos anteriores. 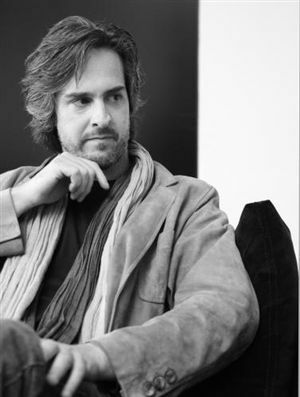 Não tenho duvidas que terá porque estavam presentes, no evento, Paulo Macedo, diretor da revista de moda Vogue Portugal, Paul Farnham, fotógrafo da revista Arise Magazine (uma revista que aborda as tendências da moda, cultura, estilos de vida e historias de sucesso). Estarei acompanhando o progresso desta jovem model e também das participantes nas próximas EML Mozambique e EML Cabo Verde, programadas ainda para este ano. Mantenha-se atualizada quanto as noticias aqui!